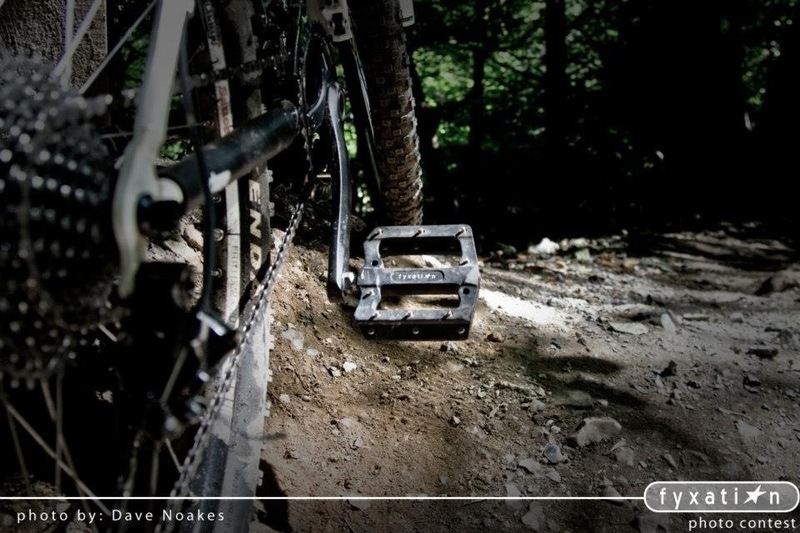 Charge Cooker – 29er’s are rad! I must say that I was never really that keen on MTB, after going to Wales to give it a go for the first time I came home thinking it was rubbish. Though since moving to Devon I’ve had the opportunity to give it another try, Kye and Leo Forte invited me to join them at Haldon Trail Centre. I was a bit worried as they are both super fast very competent riders and I am a complete novice but i wasn’t going to miss the opportunity so i went along on a wet and muddy sunday morning. I don’t actually own a MTB bike yet, but the one of the many great things about my lovely fiancee is she is sponsored by Charge bikes so I borrowed Juliet’s Charge Duster and went out for a shred. I instantly fell in love with MTB, it’s so much fun! I was a bit slower than the Forte’s and did eventually lose them as I was having loads of fun I failed to notice that they had turned off and I continued to bomb the trail with the hugest smile on my face. I got covered in mud, sweated like a pig, conquered both up and downhills, the trail got pretty sketchy at times with muddy wet roots and soggy potholes that we’re trying to send me over the bars but I cracked on and thoroughly enjoyed it. The Charge Duster is a lovely bike, it’s super responsive and great fun to ride. I came home really wanting either one of those or a Charge Blender, Kye and the guys from Charge told me I should get a Charge Cooker their new 29er. Honestly I wasn’t keen on the idea, I though it would be a bit soggy and wouldn’t handle as well as their 26″ models. I had already decided that 29er MTB was definitely not for me, though I had never tried one so how could I make this decision? The lovely guys at Pro Cycle Center let me borrow a Charge Cooker to take to the trails and I can honestly say I’ve never been so pleased to admit I was wrong! It handles amazingly, you can chuck it about as much as you want, there are a few tight sections at the trail centre that I thought I might struggle with but the Cooker just flew round. The 29er wheels will happily roll over roots, rocks and all that sketchy stuff, you can power up hill a lot easier. Riding this for a few hours really boosted my confidence, I felt like I could tackle anything on this machine at any speed on any terrain, I cannot find a single fault with it. I am a 29er convert, I fell in love with everything about this bike and can’t wait to ride it some more. I’ve read through your comments with interest as a) I too am a complete novice and b) recently bought a Charge Cooker Hi (2012). Firstly, I live in Scotland so there’s no shortage of amazing forestry to cycle through, mountains to climb and trails to dig into. Originally I became interested in MTB when I was living in the Alps, but on returning to the UK a few years later I ditched it for road bikes until last year my boss purchased a Pinnacle MTB and I had a shot. Immediate convert! With this in mind I talked to friends involved in MTB and they steered me in the direction of a few MTB magazines and retail stores. I spent weeks deliberating over what I could afford, what caught my eye and more importantly what hardware the various bikes had. One of the major factors in my decision making process being that Charge were relatively new and none of my friends held an opinion on the bike(s) I looked at, they were designed by bike enthusiasts and in the UK. When the Charge Cooker Hi arrived I was studying for my university exams, plus working long hours in a part-time position so all I had to go on initially was cycling to and from work and university along city streets. My first impression was that it was fast, amazingly well built and for a sub £1000 bike was very well kitted out. Immediately I started to feel a bit paranoid about leaving it chained up at Uni, so I decided to purchase a second-hand bike just to rattle around town (more in a minute). Finally, a day off (between exams) surfaced and despite torrential, freezing rain and high winds I decided to take the Cooker off-road. I live an hours drive away from some pretty amazing Highland forestry and so on potentially one of the worst days of the year I ventured into the hills and go thoroughly soaked, sweaty, exhausted and elated all at the same time. The performance of the bike was astonishing! 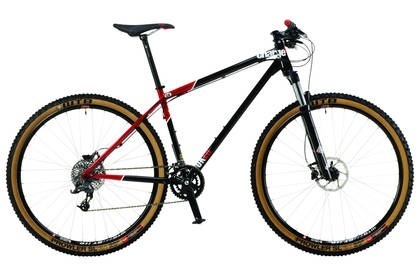 I had obviously been away from MTB for a long time, however the hard tail design appealed to me primarily because I was suspicious of sub £1000 full suspension bikes and also due to the “retro” feel. The handling was superb. I literally jumped about through some of the roughest terrain I could find and the 29″ wheels dug into the mud, gripped slippery logs and chewed through soaked paths like nothing I had ever experienced before. That afternoon sealed my love of the bike and I was so relieved as up until that point almost every MTB friend I knew had laughed at the idea of a 29er. However, the twist in the tale comes when I decided to purchase a cheap second-hand bike which I could use every day. Having found a bike company I really liked I sought a “spare” for rattling around town. Something without suspension at all. A nice hard tail with good geometry. Eventually I found a Charge Duster 2008. When it arrived via courier, I opened the box and set about building it on the kitchen floor. Complete, I wheeled it into the garage and switched the light off. It was late in the evening and I had an exam the following day so really couldn’t concentrate on it. Two days later I took the Duster to work. It’s just a few miles from home, but my GOD! I’ve never had more fun cycling around on a rigid bike in all my life. Between the two Charge bikes I have discovered a new joy for cycling. One is perfect for off road and I never use it for anything other than trails. The other is potentially the best rigid bike I have ever owned. Both handle exceptionally well, have precisely the right geometry for me. Finally, having arrived at work with both the Cooker and Duster the MTB enthusiasts have taken both bikes for a spin and the “29ers are rubbish” whispers have died away, but the love of the Duster means that a few of us (me included) are seriously considering purchasing Dusters in 2013. Word of mouth is always important with any product, especially when the manufacturer is still relatively unknown. I can’t imagine Charge remaining a secret for very much longer. They produce fabulous bikes and I’ll not be parted from mine. If you are still struggling to decide whether to go for a Charge bike, then just go for it. You’ll not be disappointed. Everyone I have lent my bike(s) to have loved them, even 29er doubters. Thanks for the response, glad you like both the Cooker and the Duster. Also check out the Charge Filter for some cyclocross radness!